You can contact any of the offices using the following form. If you wish to contact the offices by phone, use the individual information given below. We design bespoke leadership development programmes for leaders and managers at all levels, from early careers to board level, that improve behaviours and deliver measurable benefits to the organisation. We consult with our clients to identify their business needs and design solutions accordingly. We then deliver meaningful programmes whilst capturing data that evaluate the impact on individual performance as well as the return on investment for the business. Our programmes are intensive, participative, pragmatic interventions which draw from – and build on – our participants’ valuable collective experience and workplace realities. We use carefully selected academic models to help delegates explore concepts and think about how they apply in their own world of work. These practical activities encourage and support behavioural change, creating a value to the individual and the organisation that we can measure using our analytical tools, thus providing a tangible return on investment to the client. This is NOT a training course. It is an unashamedly intensive business and individual performance improvement programme for talented people who are looking for a unique opportunity to enhance their reputations by stretching themselves to make a measurable difference to their organisation. Our programmes are far more than simple training programmes that tick boxes by listing skills. We are resolute in providing an environment where participants are challenged and consequently head back to their workplaces to improve their performance and that of their teams. 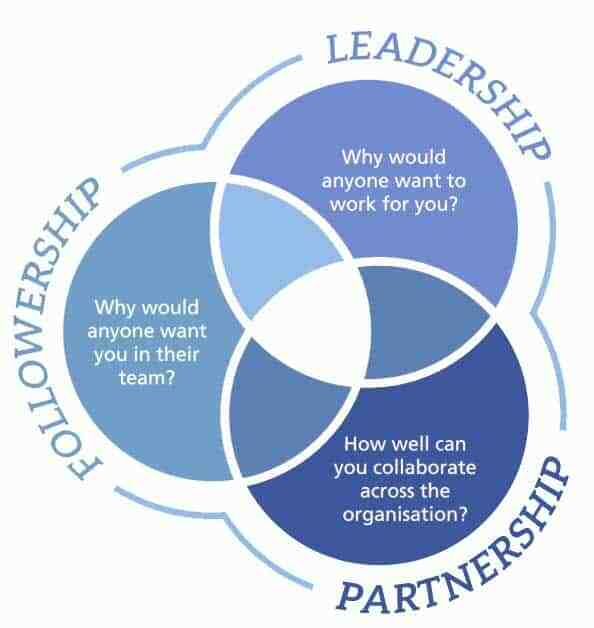 Leadership, Followership and Partnership form the three pillars of what we do. Of the three, Followership is the most mis-understood. On our programmes we use established business theory, real-life examples and our own research to show that being an effective Follower is not a passive, undermining intent; rather it is a vital skill required in every organisation and in any effective leader. The emphasis is on “effective”: not following blindly like sheep, mindlessly agreeing like yes-people, or keeping our heads down like survivors. Our programmes create Followers who spend their time actually being effective, creating value, challenging the status quo – and enable them to help their direct reports, colleagues and managers to do the same. We understand the value of teams, not only in the workplace but also on programmes. We create Action Learning Teams which focus on supporting and challenging their members throughout a programme as well as working together on Business Improvement Projects. We know that teams will keep in touch to deliver their projects. We hope that they will keep in touch over and above that because they want to. Building high performance teams in the workplace faster than the competition is the way that you will build a world-class bank.